RDSH_Optimizer tool , found this on VMware website but no much details provided. Confused and was trying to find what it does before running tool on RDS host template. As part of the tool download, READ ME file content is as follows but it doesn’t says what it does. This software makes some registry changes to optimize the RDSH image to get better performance. Please use this software only if you understand the risks and the implications. 1. Run the RDSH_Optimizer.exe and it will ask for your permission if you understand the risks. 2. If you press Yes, it will go ahead and apply all the registry changes. 17:40:26 Applying general Windows server optimizations. Hope it helps if you going through this phase. After above tools, I found one more tool on VMware flings site, i.e. VMwareOS Optimization Tool. It’s more interactive and looks efficient. 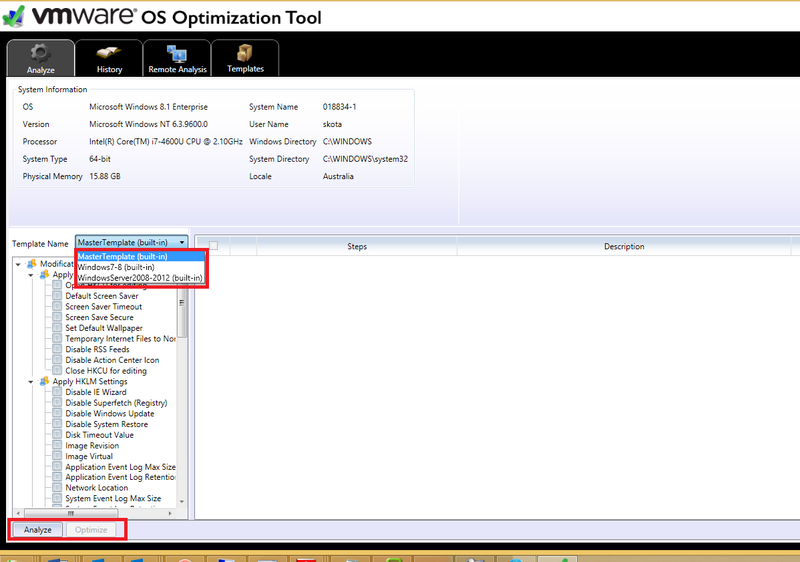 I have applied both tools for better optimization on Windows 2008 RDS host. Update:01/07/2017: I just visited the VMware Flings site, glad VMware team is continuously updating the tool to support latest operating system and further optimizations. Latest update done to tool is on June 2017.